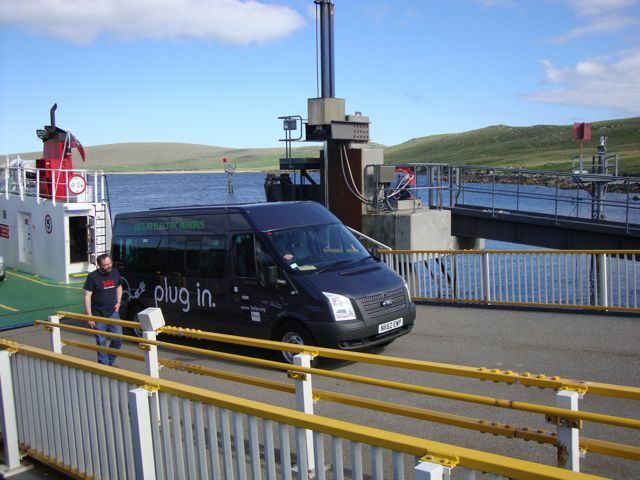 Zoom imageElectric minibus Fetlar's electric minibus finally arrived on the island on Wednesday. The minibus, a Smith Edison is based on a Ford Transit and can accomodate up to eigtht passengers plus the driver and can carry up to 2 wheel chair passengers. The disabled conversion was completed by well established motability supplier, Gleneagles Conversions. There will be a period of driver training and familiarization before the minibus enters service providing among other things the islands dial a ride service, in partnership with RG Jamieson & Son. Funding for the minibus came from two principal sources, these were Transport Scotland and LEADER. We are especially grateful for the work of Shetland Islands Council in helping us access the Transport Scotland funding. Other funding came from Shetland Islands Council and RG Jamieson & Sons with a small interest free loan from the Energy Saving Trust. 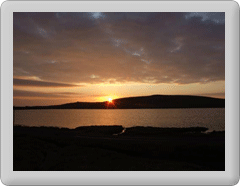 Finally a great deal of credit must go to Shetland Charitable Trust, as without the interest free bridging finance they provided, the project could not have gone ahead.